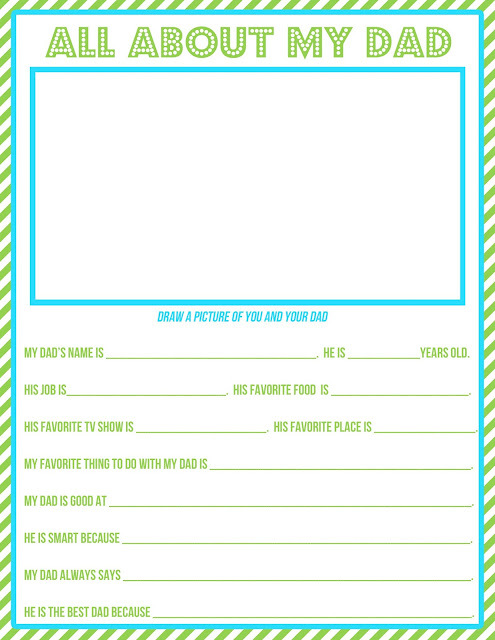 Just in time for Father's Day, here's a fun questionnaire for your kid to fill out and give to Dad. My son did one of these for me at school for Mother's Day, and I absolutely loved it. I thought Dad deserved one too ... I hope it makes him laugh like mine did. Just click on the image above to download. And stay tuned for another Father's Day printable I'll be posting soon!